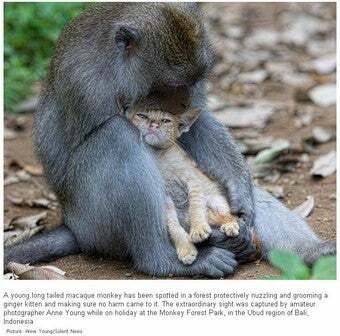 This monkey and kitten found each other in the same area of Bali where Elizabeth Gilbert met her Brazilian lover. Will they have to marry so the kitten can get his citizenship? Only time will tell.